Today I noticed a practical way to think about the constant that fits right in with this chapter. This is important because the Chinese character translated only as constant easily implies something extraordinary about the word constant. For example, if nothing else, eternity is constant — ‘God’ is constant. This doesn’t do much to bring it down to a practical level does it? That is why it helps to ponder this character’s broader meanings. 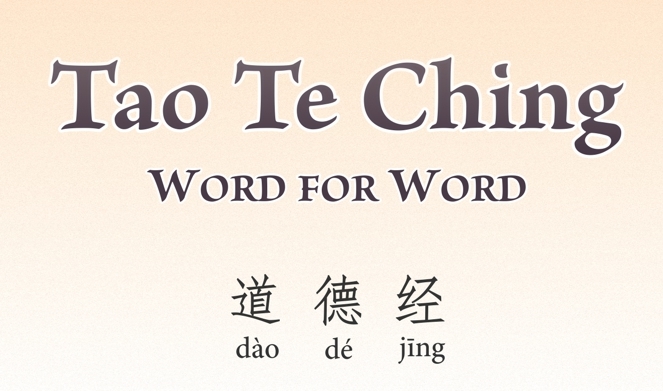 First, consider the character for constant (常cháng). Cháng is an extremely common word that translates as: ordinary; common; normal; constant; invariable; frequently; often; usually. In terms of real practical life, the constant need for watchfulness is priority Number one, especially in the wild. If an animal doesn’t keep constant watch, it easily becomes another animal’s lunch. In this context, other meanings for the character (常cháng) fit too: An ordinary wild animal is normally watchful, as observation will attest. Of course, this need for constant watchfulness is less noticeable in civilized circumstances since civilization does all it can to ensure comfort and security regardless of our ‘presence’, so to speak. We can walk around in a dream world and not worry about becoming lunch. Nevertheless, instinctive necessity is there, and balance suffers if not met. Take line 6: Not knowing the constant, rash actions lead to ominous results. If you drive fast without constant vigilance, rash actions are likely to result. If you do a headstand in yoga, constant watchfulness allows you to maintain balance and avoid injury. The next line says, Knowing the constant allows, allowing therefore impartial. Balance and impartial share a very similar quality, e.g., a balance point of view is impartial. Impartiality also involves a deep sense of before and after. This helps reduce our imagination’s control on intention. Our cognitive projections (ideals) grip us less firmly. Simply put, feeling the constant dampens the need to react impulsively to our imagined needs and fears. For contrast, notice how a bird will perch, watch and wait until it flies away. It stays or moves in the constant moment. Such stillness in ‘watching and waiting’ is ordinary; common; normal; constant; invariable; frequently; often; usually. In short, you might say the constant is simply now — the constant mundane eternal now. To be fair, I must address the character for impartial ( 公 gōng). Gōng is also an extremely common word that translates as: public; collective; common; general; metric; make; public; equitable; impartial; fair; just; public affairs. All this goes to show how essential intuitive understanding is, especially when pondering the Tao Te Ching. (See We only understand what we already know). Finally, consider the last lines in the context of constant watchfulness. I find the more watchful I am moment-to-moment, the less “I” get in the way of being natural. Interestingly, this has a parallel in Christ’s teachings, even if he expressed it a lot more ‘folksy’, i.e., you need to speak in the language you audience can understand. “Watch therefore: for you know not what hour your Lord does come. But know this, that if the manager of the house had known in what watch the thief would come, he would have watched, and would not have suffered his house to be broken up”. Matthew 24:42. “Watch and pray, that you enter not into temptation: the spirit indeed is willing, but the flesh is weak”. Matthew 26:41. “Take you heed, watch and pray: for you know not when the time is”. Mark 13:33. “Watch you therefore, and pray always, that you may be accounted worthy to escape all these things that shall come to pass, and to stand before the Son of man”. Luke 21:36. Now notice how the first lines of this chapter directly reference the importance of watchfulness. Finally, I’d sum up this whole chapter as a description of true patience. By that, I mean not forced from outside forces, but a visceral easing off the gas pedal of life. Long ago, I found that when I got to the end of my current run at living, I’d sit down, do absolutely nothing, and patiently wait it out. I had no choice other than to embrace emptiness. My mind and body were out of steam. Curiously, I noticed that before long, even within a day, I’d be rejuvenated and ready to make another run at living life to the fullest.